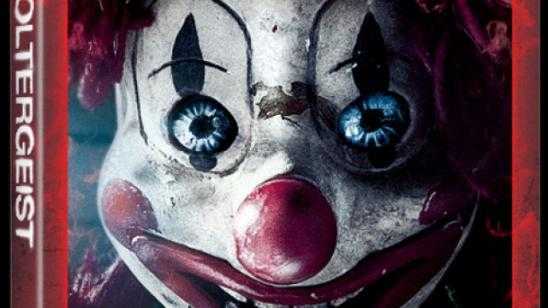 Gil Kenan‘s Poltergeist (2015) will be releasing on Digital HD on September 4, 2015. The Blu-ray 3D, Blu-ray and DVD release date will be on September 29, 2015. Special features worth mentioning are the alternate ending and extended cut of the film. Sam Rockwell, Rosemarie DeWitt, Kennedi Clements star in Poltergeist (2015). Fox 2000 Pictures and Metro-Goldwyn-Mayer Pictures present POLTERGEIST, from legendary filmmaker Sam Raimi (Spider-Man, Evil Dead, The Grudge) and director Gil Kenan (Monster House). It contemporizes the 1982 classic about a family whose suburban home is haunted by evil forces. When terrifying apparitions escalate their attacks and hold the youngest daughter captive, the family must come together to rescue her before she disappears forever. Kenan directs from a screenplay by Pulitzer Prize-winning writer David Lindsay-Abaire. The film is produced by Raimi and Rob Tapert, p.g.a. (Evil Dead) via Ghost House Pictures, along with Roy Lee, p.g.a. (The Departed). The film is executive produced by J.R. Young (The Grudge 3), Audrey Chon (Changeling), John Powers Middleton (The LEGO(R) Movie), and Becki Cross Trujillo (Snitch). POLTERGEIST stars Sam Rockwell (Moon), Rosemarie DeWitt (Rachel Getting Married), Jared Harris ("Mad Men"), and Jane Adams (Eternal Sunshine of the Spotless Mind). With suspenseful storytelling and jaw-dropping visuals, this electrifying take on a spine-chilling classic will haunt you from its early nightmarish moments to its exhilarating climax!